The Surf Camp is located in front of the best surf spots in the South of the island of Tenerife (Canary Islands), 20 meters from the beach! 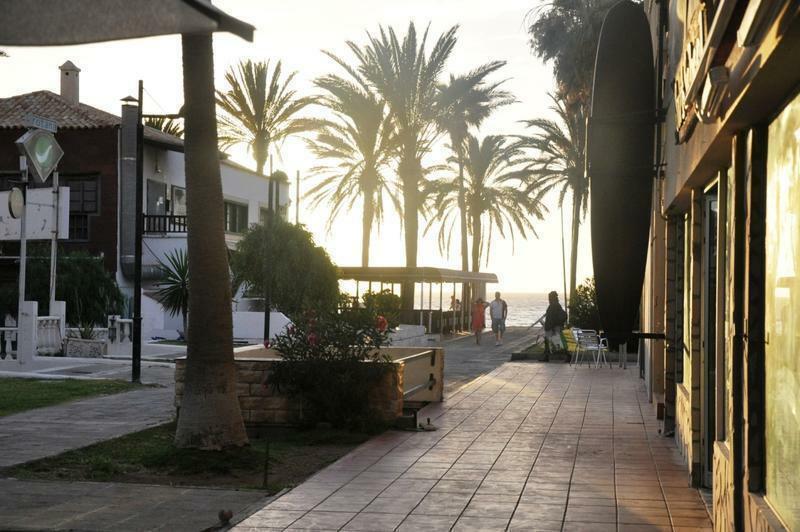 The Surf Camp has various types, 4-bed rooms msta a room with 6 beds and a large room with a capacity of 12 people, two bathrooms, with direct access to the terrace. breakfast area outdoor or indoor bar. we are waiting for a wonderful stay. In the tourist center of Playa de Las Americas near Mc Donald, Burger King (to 10 meters!) and restaurants and shopping center. The Surf Camp has twin beds, double bed or bunk beds, two bathrooms, kitchen, garden with barbecue with output directly to the waves terrace, living room. Direct bus: number 343 (linea 343) from North Tenerife Airport to the bus station in Las Americas From the North Tenerife Airport via Santa Cruz de Tenerife in bus: Take bus number 102 (linea 102) to Santa Cruz bus station then change buses and take either the number 110 (direct) or 111 (non-direct) to the bus station in Las Americas where we will pick you up. If you are delayed at all please contact the surf camp and let us know. From the airport terminal there are various buses that run to the bus station in Las Americas (the destination is written on the bus Los Cristianos/ Las Americas). From here we will send someone from the camp to pick you up. If you are delayed at all please contact the surf camp and let us know.